It's time for me to blog again! It's been too long. 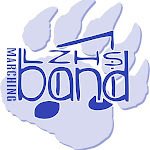 I think it's probably good to reminisce a little about the past year in the Lake Zurich HS Band. It was a very rewarding and enjoyable year for me, filled with many solid performances and a great trip to San Diego. Band camp in August was a great beginning. We have some of the best students and it was very apparent with their hard work and willingness to try new things. We actually spent time learning parade turns, and while we did not end up using them this year, it was good to stretch our marching abilities. I hope that continues. Our 3 drum majors-Krystyna, Julie and Rachel were outstanding this year-and they really set a tone for excellence at band camp. They also did a good job of making everyone feel like an important part of the band. Our shows this year were the Beatles & Superheros, culminating in our 14th annual dance at halftime of the Homecoming show to the rock beat of Aerosmith's "Spiderman." Our football team extended our season greatly again this year-fortunately, the extra 2 home games turned into another great trip downstate (unlike the year before, where we were one play short of going downstate). It's always great to perform in a college stadium and our students were once again one of the best bands to perform all weekend. I'm also so proud of how they want to cheer and support our school and team. So much so that the administration and students decided to add bleachers on the track for us to perform from during the games so we could be an even bigger part of school spirit. I think the student favorite pep band tune was "Dynamite." I finally tried my hand at arranging for the marching band, and it turned out alright...I hope to do it again next year to help keep the tunes we play as current as possible. We also flew across the country to perform at the Holiday bowl in San Diego, CA on December 30. We also performed in the Big Balloon Parade through downtown San Diego. The weather was cold all week, but beautiful for the parade and the game. It was a good thing we weren't there a week earlier when the stadium flooded, but we enjoyed going to the game between Washington and Nebraska. It was fun connecting with the band director from Nebraska, Carolyn Barber, who was a doctoral student at Northwestern when I was an undergrad. I even played on her conducting recital. Playing at halftime was cool and loud, though it was really hard to hear the bands over the din of fireworks and the sound system. What are you going to do?! It didn't take away from the trip-just like the year we marched the London New Year's day parade in a rain storm, it was still a great trip. The zoo, the beach, Sea World, Disney and the air craft carrier were all highlights of the trip. While we did not win the state championship title in football, our bands' focus then turned to concert band season. The wind ensemble hoped to be able to return to U of I for the Superstate Concert Band Festival in the beginning of May. While we did not eventually achieve that goal again this year, we still had many highlights and played some amazing literature at a high level. This year's focus seemed to be on classical transcriptions-we played a number of them, with the highlight being Shostakovich's 5th symphony, movement 4. Ever since my own high school in Westerville Ohio performed this as part of our competition show when I was in the band, I've always wanted to conduct a band performing this transcription. But it requires a very deep group of musicians and outstanding woodwind and brass soloists. I felt like we finally had that this year, so we went for it. It went well and we put it on a CD this year entitled "Wings to the Mind." The title came from a quote by Plato that says, "Music gives a soul to the universe, wings to the mind, flight to the imagination and life to everything." Our students made the final decision and the CD was a nice memento of our year. One of my favorite things this year was our annual Wind Ensemble Invitational Concert. This year's concert featured a friend of mine, Matt Kastor, and his band from Lakes Community HS in Antioch. We also brought our neighbors from down the road who we have not done enough with in the past, Jeff Slepak and the Stevenson HS Wind Ensemble. I have great respect for both of these outstanding teachers and their programs and was delighted to share a concert with them. It was a great evening of sharing music and I look forward to year number 6 of this concert next year as we bring in Buffalo Grove HS, directed by Ed Jacobi and the Wheaton College Symphonic Band, under the direction of Timothy Yontz. Once again, I am excited to showcase to programs under directors that I have the utmost respect for. It will be great fun I'm sure! Another fun thing that happened this year is the 3rd place trophy for IHSA Music Sweepstakes. This is an annual competition that awards points for Solo & Ensemble Contest and Organizational Contest each year and determines a state champ. We were excited to get this as it is an indication of a well-balanced music department. You can't win this award without a solid band, choir and orchestra program. I think it was good for our students to get some recognition for all their hard work. We also performed the world premier of a new work by Michael Markowski entitled "Dreamland." The students enjoyed the challenge of mixed meters, interesting percussion and melodic lines and eerie colors and sounds. It was also fun colaborating with the composer to find little mistakes and things that could be notated differently to improve the reading of the piece. When all was said and done our students did a really nice job with the piece. It has been a pleasure to work this year with such great colleagues, Nick Juknelis and Serge Penksik, as well as our fine department chair Angela Fortune. But I think the most important member of our LZ team is Sheri Conover, my assistant director, to whom I owe my sanity and my family owes my presence. Her time and dedication to the program have allowed me to balance work and home in a way that I cherish-the Lake Zurich program would not be what it is without her! A few more weeks and we're on to 2011-2012, but it has been a great year and I want to thank all of the seniors that have made this year a great one and without their 4 years of dedication and leadership, the program would not be what it is. Congrats on your graduation and best of luck in the future! Stay in touch!